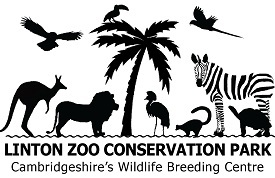 OUTREACH PROGRAMME - Bringing the zoo to you! We have a variety of smaller animals such as invertebrate species, reptiles, small mammals and birds which give us endless scope to teach a range of science, history, geography, art and math's related subjects at your school or playgroup. Outreach is also an unusual, fun and interesting birthday party activity for youngsters at home. We will discuss our visit with you first to ensure the sessions are tailored to your own individual requirements. Using a variety of animals in your classroom we will be able to bring the National Curriculum to life. We have a series of specially constructed talks which are designed to make learning fun, interactive, memorable and very hands-on. We have a range of live animals we are able to bring including frogs, lizards, millipedes, cockroaches, stick insects, snails, tarantula spiders, owls, tortoises, guinea pigs and snakes. We can also make suggestions for follow-up work in the classroom and you can enhance our visit to you by bringing the children out to the zoo in the summer to experience the wonderful world of wildlife. 2 x 60 minute sessions £250. Must be consecutive sessions, cannot be one before lunch and one after lunch. Please call us to discuss visit details and to request a booking form.